I will get back to you as soon as I can on whether I can/should review your novel. As a note, I don’t typically read sci-fi/fantasy novels, so if that’s your genre, you may be better suited to find other reviewers. If you insist, however, I will give it a shot and put forth the best review I can. I absolutely LOVE thrillers (it’s what I try to write myself! ), young adult, humor, and really most fiction in general (except as stated above). 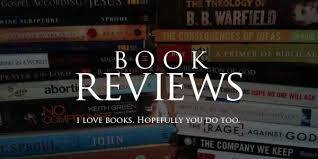 Is there a time frame you need a review done? If you’re a first-time author or this is your twelfth book, I don’t mind! I would love to read your work! I can accept copies in PDF format, or .mobi (for Kindle readers).